Skate board Sports themes has been purchased 12, rating: 4/5 based on 4 reviews. Skate board Sports is an excellent Shopify theme designed for sports shops. 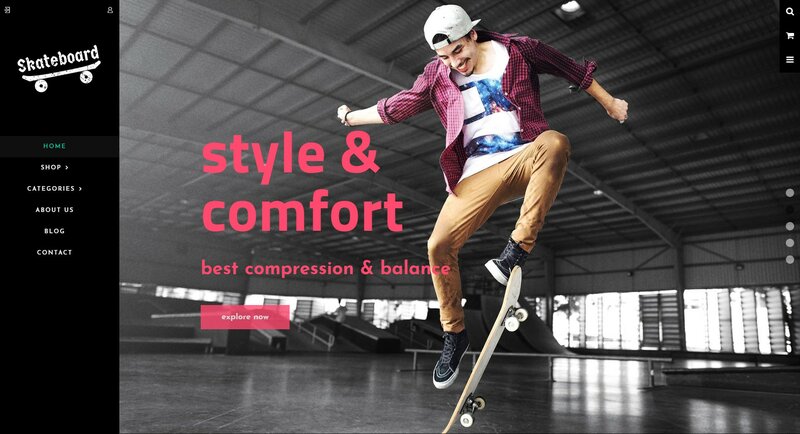 Developed by BuddhaThemes, Skate board Sports has a modern, clean and eye-catching design at first sight. In addition, this theme is fully compatible with all devices such as mobiles, tablets, computers, laptops, screens, etc. In addition, Skate board Sports theme includes a lot of powerful modules to help your customers have a great experience on the website. Select Skate board Sports Shopify theme to experience!